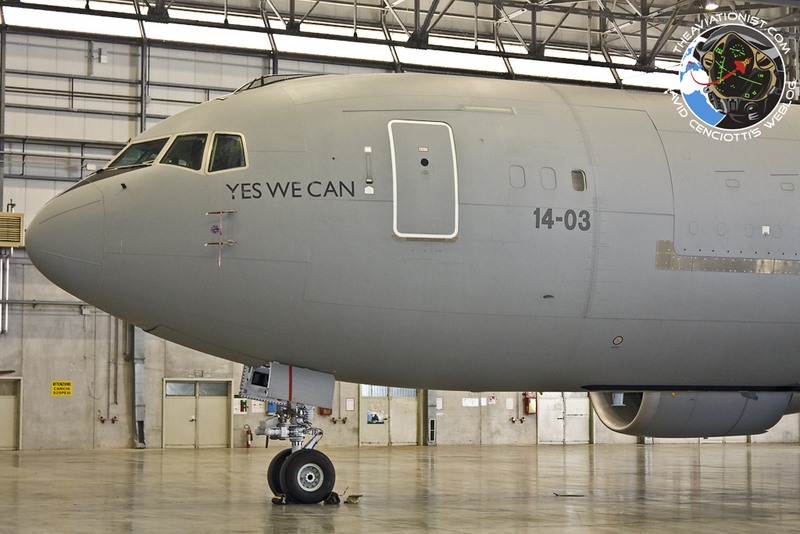 Some of the readers of this blog have noticed that the text “Yes we can”, the catchphrase used by Barack Obama in his concession speech on Jan. 8, 2008, is written on the nose of the last KC-767A tanker (the MM62228/14-03) delivered to the Italian Air Force. 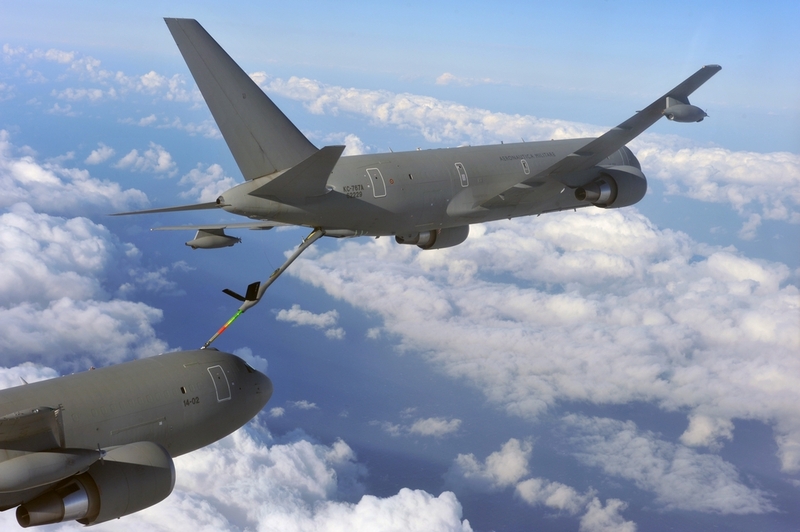 Indeed, more than any other one, the slogan that accompanied the Obama campaign epitomizes the proudness of the 14° Stormo (Wing) for the achievement the IOC (Initial Operational Capability) with the new aircraft in both assigned roles and the capability of the tanker, on which the future U.S. KC-46 will be based, to refuel both planes equipped with a refueling probe (with the hose and drogue system as the KC-130J) and those with a receptacle (using the flying boom, moved with the adveniristic remote vision system). 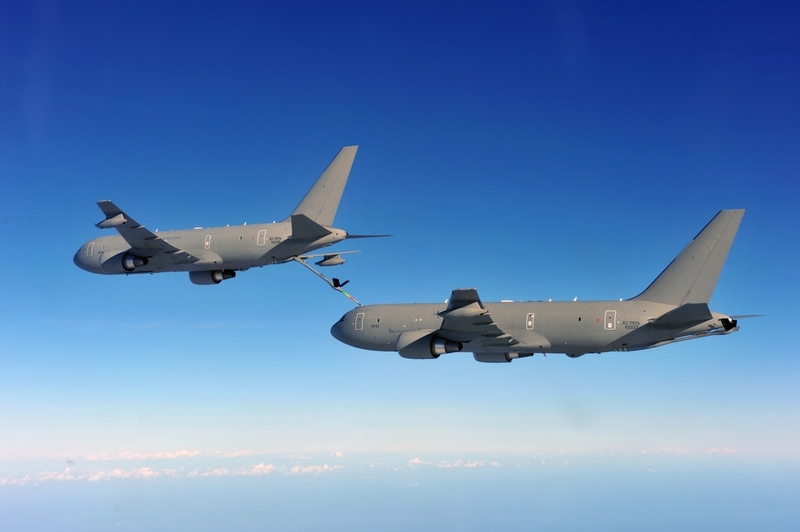 The use of the flying boom is a first in the Italian Air Force but the 14° Stormo has already conducted aerial-refueling operations using a “company KC-767” (a tanker belonging to the same Wing) as receiver, as the following images show. 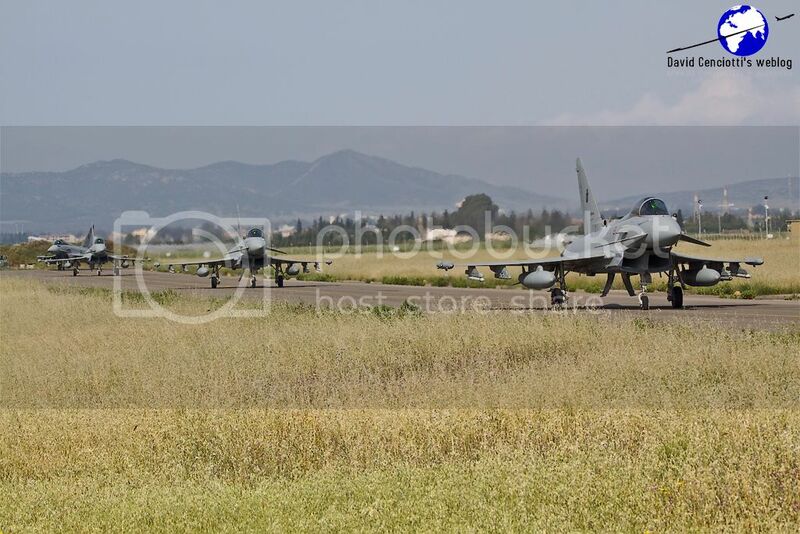 Noteworthy, the “Yes we can” follows the “We have a dream” text sported by the first tanker delivered by Boeing with a few years of delay, the MM62229/14-04, to express the wish of the Italian Air Force to quickly return to support the nation’s power projection capability lost with the retirement of the B-707TT in 2008.